To become a STAR – a Leadership Success – a manager “must surround her/himself with exceptional people”. [i] Stanford University Professor Jim Collins[ii] studied 1435 Fortune 500 companies and concluded that getting “the right people on the bus” was key for sustained long-term success. Although the Stanford study focused on larger public companies, the concepts can be applied to organizations at various stages in their evolution. As a company grows, many levels of organization will be needed with the “5 P’s” (People, Process, Product, Personality & Performance) applied to each segment / department. [iii] This article focuses on emerging growth companies and the formation of a CORE GROUP of key employees who will impact the future direction of the enterprise. The greatest risk of failure for any company is the transition from an entrepreneur-centric organization into a professionally managed organization → the emerging growth sector. Individuals Proficient in differing technical skills to handle specific tasks and responsibilities depending on the nature of the business. Unfortunately, the “right people” to successfully lead the company and support its growth into the Emerging Growth category are frequently NOT the ones who were recruited in the earl ier stages. The organization still needs a visionary CEO to drive the bus, but generalists with a diversified background, knowledge of the business and a wide range of talents (vs a cadre of technicians) will give the business its best chance of success in capturing new opportunities and adapting to changing customer demands, economic factors, etc. Getting these “right people” on the bus provides meaningful executive-level input and gives greater latitude than relying solely on the entrepreneur’s single track vision and management style. 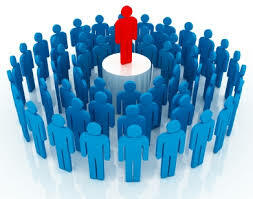 At this threshold, the enlightened CEO / Founder will assess his/her “key” employees and recruit additional talent to create an Inner Circle of 5 people (limited for effective interpersonal management) who can be trusted implicitly for honest assessments, to speak their minds openly with differing opinions and perspectives and then to unequivocally support the ultimate decisions as they are implemented. To create a GREAT organization, the CEO will surround his/herself with individuals who demonstrate natural leadership and possess the characteristics discussed below. This will cause others to respect and look-up to them for guidance. The technical specialists will still provide value to the company, but generally are not geared to contribute effectively in the Core Group. Functions – including but not limited to – the Chief Clinician (Quality Assurance), Chief Accountant (Controller), 3rd Party Reimbursement Specialist, Risk Manager, Chief of Information Services, Legal, Tax Accounting and Human Resources tend to focus on the details instead of the BIG PICTURE. The personalities of individuals who gravitate to these positions and do well with these responsibilities generally have a strong detail orientation and place a high priority on compliance. They make “good soldiers”, following the lead of and helping the strong “genius”, but are less likely to contribute insightful, ground-breaking initiatives to impact the direction of the company. CREATIVE: The Core Group should be comprised of people who consistently Challenge the status quo by asking “Why?” or “Why Not?” and are Comfortable “thinking outside-the-box”. They find a way to get the job done with a “Yes! Attitude”[vii] and positive Can-do approach[viii] to problem solving. 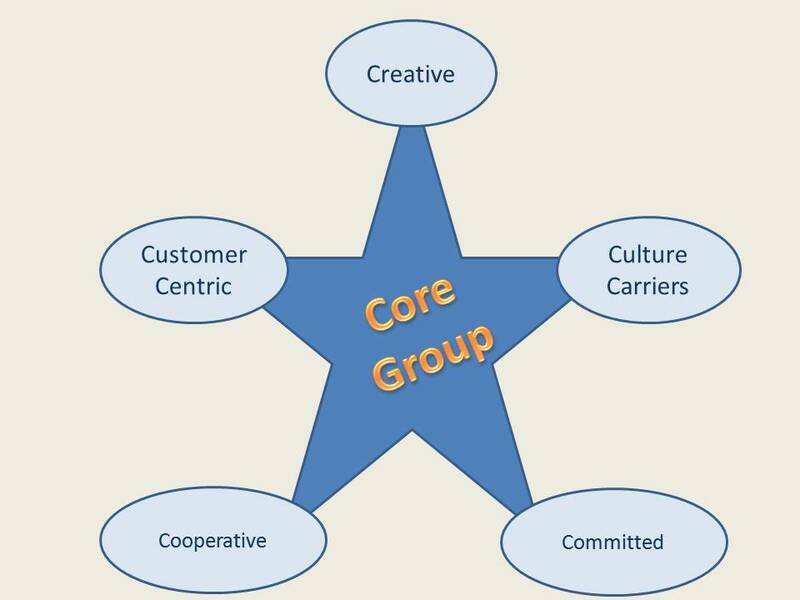 CULTURE CARRIERS: This group molds theon-going culture for the organization but should also value “where we’ve been” and carry elements of that culture forward. 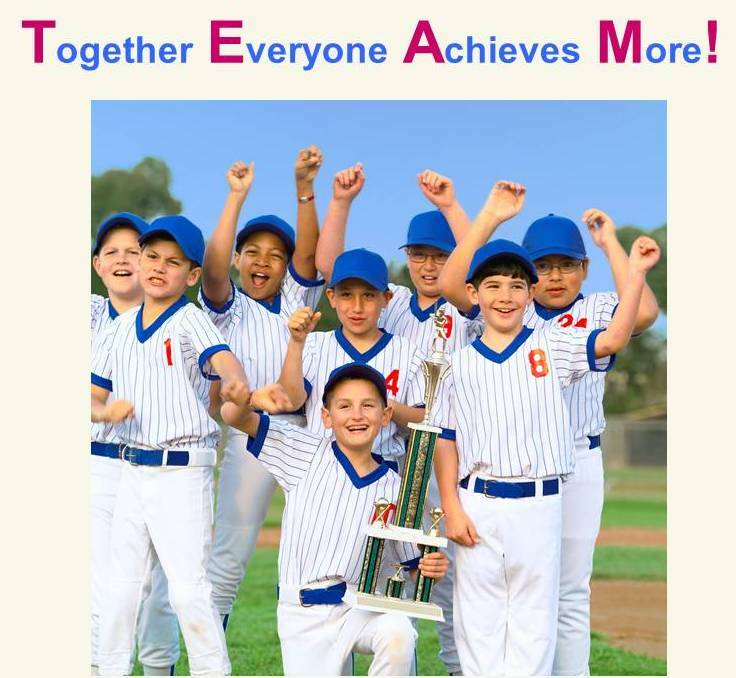 It is important to create a Winning Culture and celebrate success. 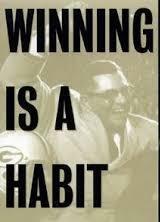 Coach Lombardi[ix] stated: “Winning is not a sometime thing; it’s an all time thing. You don’t win once in a while, you don’t do things right once in a while, you do them right all the time.” This philosophy is a cornerstone of a GREAT organization. CUSTOMER CENTRIC: There are many different types of customers within an organization. In health care, the ultimate “customer” is the patient, although 3rd Party Payers are another important customer. In Senior Living, that customer is generally called a resident, but the resident’s family should also be considered a customer. It is important that the Core Group understands that this is not just a slogan for sales and marketing, but takes active steps to ensure that everyone in the company embraces the concept. Another challenge is related to the saying that “knowledge is power”. The term POWER was not listed as a key to successful leadership in the “5 P’s” presentation[xiv] because it is an anathema to a GREAT organization when employed by individuals. The Core Group must pull together and share information → they must function as a TEAM that the rest of the organization can emulate. 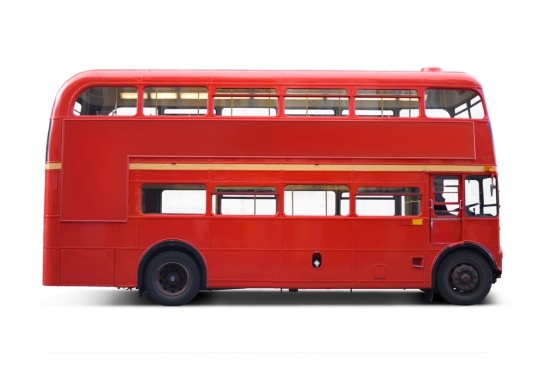 COMMITTED: Individuals shouldn’t be allowed on the Core Group “bus” unless they are committed to “get it right”. For this group, it’s not a job → it is a calling! In their words and actions, they Communicate that they truly Care about making the organization, its products and services and dedication to the customers the best they can possibly be. They must believe that there is “always room for improvement” and take aggressive steps to foster Continuous process improvement throughout the company. 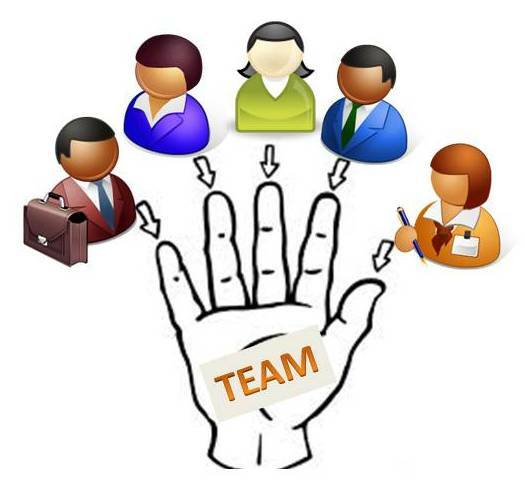 In earlier stages, staff Commitment might be characterized by personal loyalty to a leader. [xv] However – in “Good to Great” Companies – the Core Group of key personnel, while retaining consistent and unquestionable loyalty to their “boss”, are driven by a Commitment to the organization’s underlying ideals and principles and develop “unwavering faith” that they “can and will prevail in the end, regardless of the difficulties”[xvi]. This higher level of informed and shared Commitment creates a business that is stronger and more resilient than any one individual. Jim Collins found that the “right people will do the right things and deliver the best results they’re capable of …”[xvii] and naturally build the winning culture and work ethic in the “Good-to-Great” companies. With this level of commitment, Collins also found that “the best people don’t need to be managed. Guided, taught, led – yes. But not tightly managed.”[xviii] This leads to a highly efficient organization and a rewarding experience for the members of the Core Group. [ii] “Good to Great”, Jim Collins, 2001. [iii] This will be discussed in detail in a subsequent segment of the “5 P’s” series. 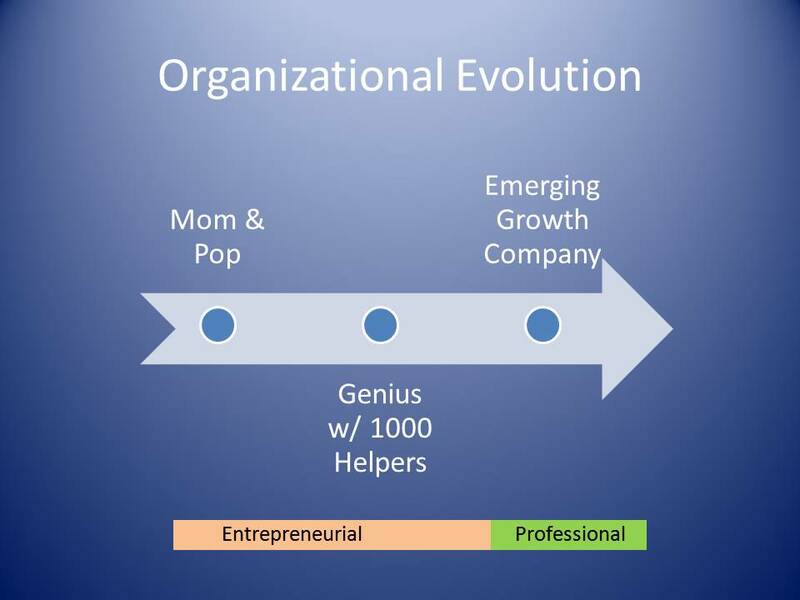 [iv] I once worked in a $100 million public company that employed the “Genius with a Thousand Helpers” approach and in many ways was still run as a “Mom & Pop” operation when I arrived. That company would have been dissolved and assets sold off by the lenders if we had not been able to implement the systems and structure to allow a professionally managed operation. As Professor Collins discussed, we had to recruit some new people to get on the bus, get some existing people in the right seats and get the wrong people off the bus in this process. [vii] Jeffrey Gitomer’s “Little Gold Book of Yes! Attitude”, December, 2006. [viii] Many of these technical specialties are more geared to tell management why they CAN’T do something; spelling out the risks, limiting regulations, etc. that impact a proposed corporate action. The Core Group must MANAGE these risks, but not allow them to exercise a strangle-hold on effective decision-making! [ix] Coach Vince Lombardi was one of the best & most successful head coaches in the history of the National Football League. He is best known for coaching the Green Bay Packers to three straight and five total Championships in seven years, including the first two Super Bowls. [xii] Some are less willing to “dedicate their entire life” to the enterprise, become satisfied with the size or earnings level achieved, disagree about local, regional or national growth strategies, taking on new risks with geographical or product line expansion, or desire a quicker and/or more defined “exit strategy”. [xiii] Blind, personal loyalty to competing leaders with different personalities and agendas is often found in early-stage ventures. This is similar to the loyalty shown to an Omnipotent Leader In the “Genius with a Thousand Helpers” organization. 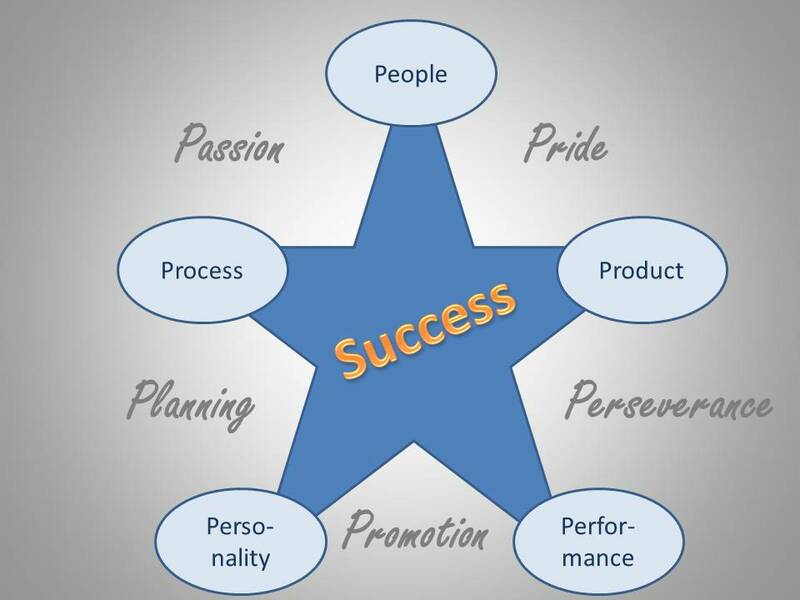 [xiv] “5 P’s of Leadership Success”, op. cit.